The other day, a friend asked me if I was doing NaNoWriMo, or National Novel Writing Month, which starts November 1, less than a week away. Looking back, I realized that with my Romance in a Month method, every month is novel writing month for me. 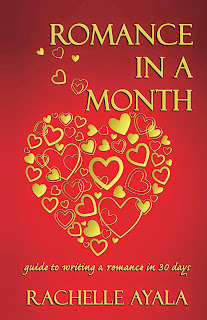 Romance In A Month is my way of motivating myself and a group of about sixty romance authors to write faster and better. We do exercises to flesh out our stories first: select tropes, develop characters by listing motivations and goals, and challenge ourselves to dig deeper and go further than we'd ever imagined. Most of all, we commit to encouraging each other by reading and commenting on the daily updates. In May 2014, I formed a Facebook Group and gathered about thirty writers to test our concept. I always believe that encouragement and support make all of us stronger and better. We don't compete in our group, but cooperate so that we all become faster and better writers. 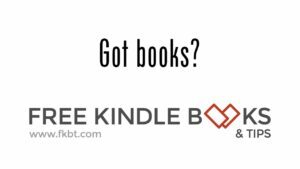 The group ranged from experienced authors to new beginners, and the only requirement for membership was an open mind and a willingness to explore new ways of writing and working together. It was sort of like the many NaNo camps where members checked in with each other daily, but the biggest difference is NO WORDCOUNT posts. I did NaNoWriMo in 2012 and have been in a few Camp NaNo's, but the major emphasis is tallying wordcount. At the end of the day, participants updated their wordcount and compared graphs. In the camps and groups, people likewise also spoke mostly in terms of wordcount. It was supposed to be encouraging, and since I'm one of those writers who can write 3000-5000 words a day, it did not disturb me at first--not until I polled several of my friends who dropped out of those groups. I then realized that daily wordcount posting may be encouraging for those high output writers, but was actually demoralizing for others. It also turned the entire writing exercise into a competition as everyone raced for the goal of 50,000 words. What about the story? Did anyone even care what their friends' stories were about? Or were people purely in a group to chat about how many cups of coffee they drank and how many words they banged out after midnight? Romance In A Month is different. It is not a writing exercise or a wordcount driven competition. Instead, I teach the elements of story structure as it relates to a romance, then we select tropes, develop characters, and start writing. We develop a cohesive group feeling, friendships, and lasting relationships in addition to outputting fantastic romances, both long and short. Romance In A Month consists of two basic elements. 1. Daily Update - This post contains a few pictures that inspire you. Your proposed Title and a short description or blurb. Every day you write, you update this post with a short few sentences of what happened in your story. Other members will read along and comment. Sometimes, brainstorming happens right in the thread, or someone asks a question that leads you in a new and exciting direction. Your Daily Update thread is your motivation to write that day. No writing, no updating. Quite simple. [Remember, no wordcount, just a description of what happened in your story world]. 2. Daily Question - Every day, we post a question under the hashtag #RIAMDaily and participants answer for their own characters. This Daily Question can spur discussion as well as help you brainstorm. If you're blocked or having trouble, go back and search the hashtag and answer daily questions from before. Again, your answers are not in a vacuum. Discussions are encouraged and sometimes you might be surprised what new ideas come from it. Now that November is starting up, whether you're writing with NaNoWriMo or on your own, I encourage you to check out the Romance In A Month Facebook Group. Your next writing adventure may just be waiting for you there. Write Early. Write Often. Write Well. Rachelle Ayala - Roaring Hot!